In her memoir, Breakup, Catherine Texier tells how her husband left her for another woman. 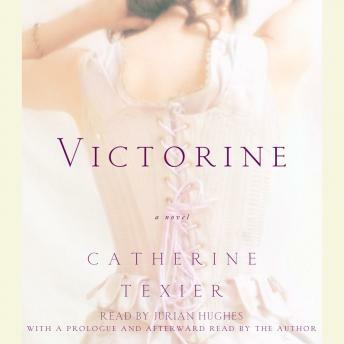 In Victorine, Texier takes the memory of Victorine, her maternal great-grandmother, and transforms it, so that Victorine, in the throes of a grand passion, leaves her husband and children for another man. Naturally, Victorine's motives are soulful, and yet she has committed a mother's ultimate sin. Her flight with her lover to turn-of-the-century Indochina leads to days of great beauty and nights of sensuous languor, along the banks of the Mekong River. At the same time, she has much time to muse about the struggle between duty and independence, tradition and freedom, longing and regret. All of these thoughts are now condensed into a single day: a day when she has returned.